Often ignored in studies of Classical Greek religion, private cults were widespread in the Hellenistic world. Although worshippers in Classical Greece were normally involved in group and civic worship, there is evidence that they could also act outside of these constraints, expressing their piety through the financing and administration of cults they established on their own. 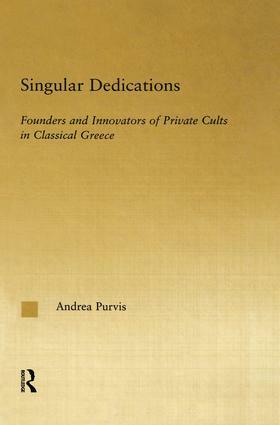 Singular Dedications is the first comprehensive study of this phenomenon, examining three case studies that represent the diversity and complexity that characterize ancient Greek religion in the Classical period.